Took me a while to get through this wonderfully put together release from Arrow Video which includes two versions of the film, director’s commentaries for both, and an accompanying booklet plus a making of documentary. Rarely seen in its original form until 1983, Lisa and the Devil was re-edited by producer Alberto Leone after it failed to attract any distributors at the Cannes Fim Festival. Leone added new footage to cash in on the success of William Friedkin’s The Exorcist (1973). The resulting farrago became The House of Exorcism, a notoriously awful production in need of an exorcism with only the ghost of Bava’s original intentions remaining. 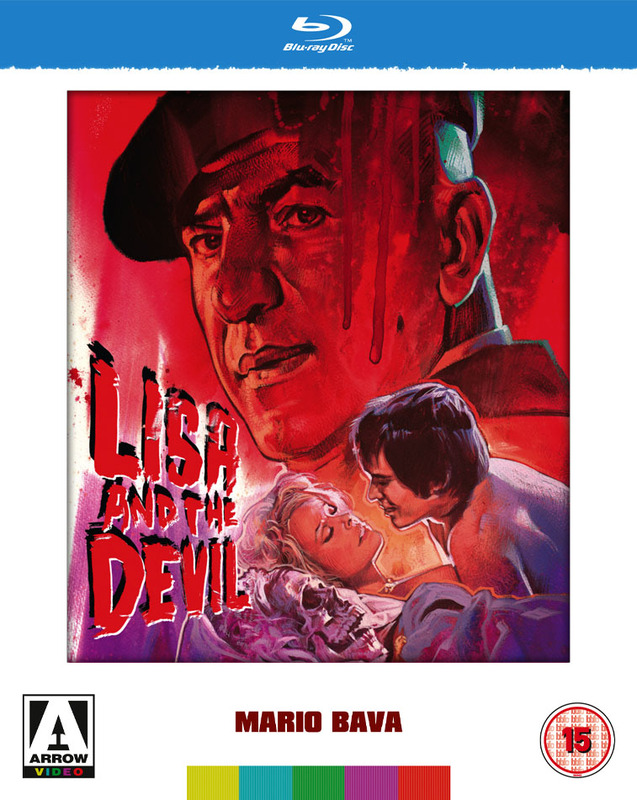 Thankfully the devilish influence of Leone was removed by an American network television channel who screened Lisa and the Devil as Mario Bava originally intended. Lisa (Elke Sommer) is part of a group of tourists admiring a Fresco painting of the Devil carrying away the dead. She is led away from the crowd by the sound of music into the back alleys of the city and loses her way. Lisa enters an old antiquarian shop to ask for directions and meets Leandro (Telly Savalas) who is purchasing a life-sized dummy of middle-aged man. Unsettled by Leandro, whose likeness is uncannily like the Devil in the Fresco painting, Lisa tries to find her way back to the square. Instead she encounters Leandro again in maze-like streets, then a man who shares a resemblance to the dummy he was carrying. As darkness falls she grows increasingly lost, until she hitches a lift in a chauffeur-driven vintage car to a house in the country. Instead of reaching safety Lisa finds herself haunted by memories of a past life. Leandro is there too working as the butler, a wry, amused presence watching over the occupants of the big house as if he has seen this all before. Mario Bava is usually given the backhanded compliment of being a great horror film director though he is so much more. A former cameraman, Bava’s eye for detail and his mastery of the technicalities of directing helped him create a lush visual style. Bava is less concerned with coherence than with creating a mood, often with a dreamlike logic and a talent for ending his films with unforgettable images. A recurring theme in the Bava’s work is the ruination of beauty; of things dying and decaying. There is a sense of loss in his films and a belief in death being a transformation into something beyond our understanding which is affecting regardless of whatever kind of film Bava is directing. Lisa and the Devil is Bava’s purest film, a stylish gothic fantasy with a magnificent score by Carlo Savina. Sadly for many years it was only available in its fragmented form as House of Exorcism in which a demonic possession plot investigated by an American priest (Robert Alda) alters the meaning of the original movie completely. Bava’s ambiguity is replaced with the certainty of Lisa’s innocence as a Linda Blair style demonic possession takes over her. The latter is worth watching out of interest just to see how Leone carried out what he considered a salvage job on a movie he couldn’t sell. In 1974 Lisa and the Devil seemed a little out of time in an era where the Devil was launching profanities and green puke from a child’s mouth. It may have taken a few years but it is good to see some things can be mended.